You never know when a blackout could occur or for what reason, but it is important to know that it could happen at any time. It is important that you have what you need to survive in the wake of a catastrophe. Power outages can happen at any time. Just this summer, there was up to 14 days of blackouts across California, and while they were not necessarily consecutive days, these power outages can be devastating for those who may be without a plan – especially in the peak of summer. As well, those living in northern climates have seen their fair share of “lights out scenarios” when the cold weather affects the grid. 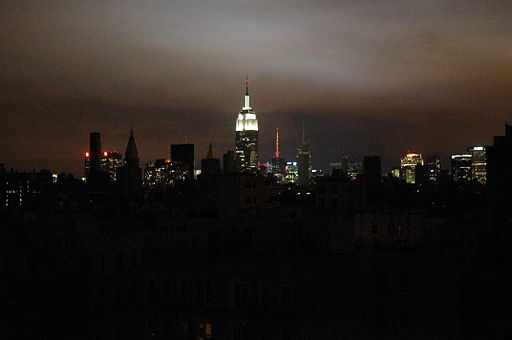 And let’s not forget the massive blackout that occurred from Hurricane Sandy in 2012. From refrigerators to cell phones, people have almost become completely reliant on electrical devices for their survival, and for this reason a blackout can have disastrous implications for the ill-prepared. You never know when a blackout could occur or for what reason, but it is important to know that it could happen at any time. It is important that you have what you need to survive in the wake of a catastrophe. In addition to blackouts, there are a number of other threats to the power grid, both natural and man-made, that should be taken into account when making preparations for such an event. For instance, hurricanes and tornadoes have been known to damage power lines and render them completely unusable. An electromagnetic pulse (EMP) is another threat to the power grid, and it could originate from a natural source, such as lightning or coronal mass ejections, or from an artificial source, such as a nuclear and non-nuclear EMP weapon. An EMP could affect the power grid by causing transformers to fail, and it could possibly cause irreparable damage to electronic equipment that does not have sufficient protection, which could mean just about any modern car with a computer, would likely experience disruption or failure. When preparing for a blackout, it is important to keep these other possible threats in mind. Energy conservation at home or at work is critical for minimizing blackouts, especially when high temperatures cause immense stress on electrical equipment during the summer months. It is important to turn off all unnecessary appliances or equipment and shut off all unused lights where possible. If practical, using an electric fan instead of air conditioning units can save quite a bit of power. Closing blinds or drapes to keep out sunlight during hot periods of the day can decrease the need for air conditioning as well. Excessive opening and reopening of refrigerators can cause unnecessary power usage for the refrigerator to maintain a lower temperature. Here are some other tips to stay cool when the air conditioner is off and how to stay warm if the heater does turn on. Water is fundamental to staying alive, so make sure to have at least 1 gallon per person per day stored for each person in your household. A blackout can last multiple days, so it would be best to plan to store enough water for each individual in your household for at least a week. Perishable food will go bad without refrigeration, so it will be important to keep food that does not require refrigeration, like peanut butter, flax seeds, chia seeds or hemp seeds. Canned foods may be made to last long, which is why they are so often suggested as long-term survival foods, but they are generally lacking in nutrition and high in sodium, so nuts or seeds will make for a better option for meeting your nutritional needs when it really counts. As a side note, most medication that requires refrigeration during a power outage can be kept in a closed refrigerator for several hours without damaging the medication. Of course, if you are unsure, it would be best to check with your physician or pharmacist. It is important to have at least 2 alternative power sources at your house in the case of a blackout. Luckily, you probably already own one: your car. If you connect an inverter to the positive and negative terminals on a car’s battery, you can use the battery to run most household appliances for a limited period of time, and you can run the car periodically to charge the battery. The primary difficulty in sustaining your car as a power source is knowing the wattage rating of the devices you intend to use. An inverter that is rated for 500 watts should be enough for a small family to power most vital appliances. If there are any high wattage devices plugged in, you will likely need the car to be running for the duration of the device’s use because the battery will run out quickly. You can also keep a store of charged batteries so that you can continue to use the inverter in the case that you run out of fuel. Another device that you may want to consider purchasing as an alternative power source is a gas-powered generator. Gas-powered generators take about a quarter gallon of gasoline for each hour of use. This will require that you keep a store of plenty of extra fuel. For a blackout period lasting 3 days, it would be wise to keep at least 15 gallons stored in your house for use in your generator or car. This type of emergency is one of the many reasons to have emergency supplies set aside and a well thought out plan. Access to fire will be critical in a blackout. Make sure to have at least three different ways to make fire, such as a magnesium and steel fire-starter, matches and butane lighters. Lanterns will be effective alternative light sources as long as you make sure to keep kerosene in storage. Keeping in mind fuel that will be helpful, you may also want to have propane in storage for use on a barbecue or other propane-powered appliance. Having extra flashlights will make a fundamental difference in a power outage. Keep one extra set of batteries for each flashlight that you set aside. Of course, you want to have a first-aid kit with sanitizing gel. A radio with a crank generator will enable you to hear emergency alerts without having to use back-up power. Have at least 3 days of clean clothes prepared. Preparedness is a lifestyle. Having the items you need when the worst happens can mean the difference between struggle and survival. More than anything, the knowledge that you know how to face disaster whenever it may strike is empowering. Build confidence in yourself and your family members by making sure that you have what it takes to face the next power outage today.